Hey there! You are in for a real treat with today’s session favorites! I’ve been so excited to show off more of Zeus, the American Bulldog that I had the absolute pleasure of photographing last month. This stunningly handsome fella was a bonafide pro! He really knew how to strike a pose! Zeus’ dad is surprising his wife with photos from our session! 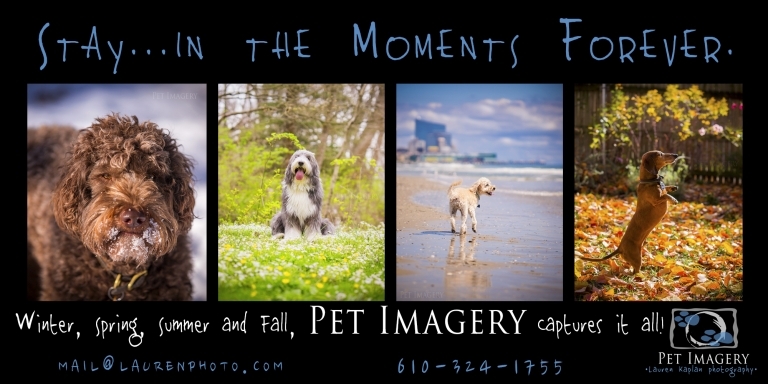 I just love when people give the gift of photography! The foggy morning really set the stage for a great shoot on the wonderful grounds of the Bellevue State Park. It should be noted that Zeus was on a leash the whole time (park policy) but it was removed in post production. 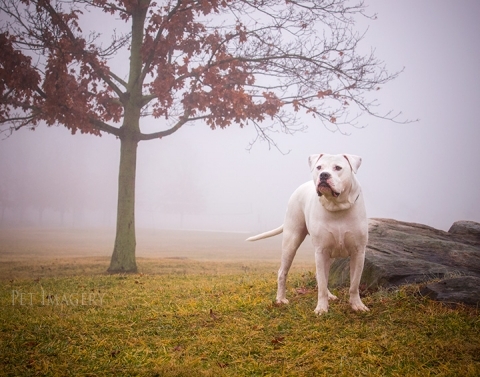 At first I was a little worried about Zeus being all-white with the foggy air; however, it couldn’t have been a more perfect setting for him. He had a blast playing with his gigantic red ball and running around with his family. Zeus comes to this park all the time and you could tell how comfortable he was with his surroundings. Enjoy looking at some of my favorites! Please share the link and spread the good Pet Imagery word! Thanks for looking! Have a good one!